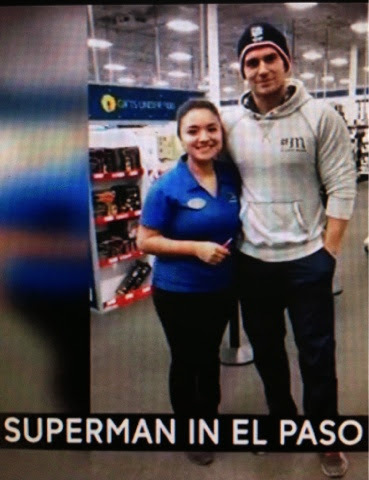 Henry Cavill News: Texas Proud: The Sweet Pics Out Of El Paso Keep Coming! Texas Proud: The Sweet Pics Out Of El Paso Keep Coming! biancasofiareyes: "Well this just happened. 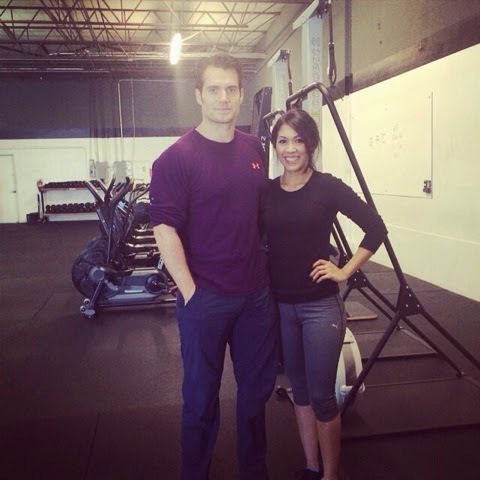 #HenryCavill #NoBiggie #DontBeJelly"
Not ready for the awesomeness from El Paso to stop? neither are we! 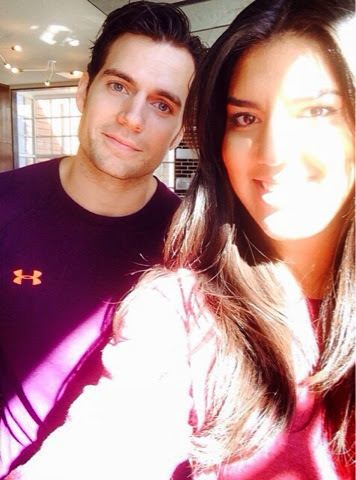 - Thanks Bianca for sharing this lovely pic from there today, after meeting Henry. Later on our Instagram, she told us: "He is a very nice gentleman! Hoping everyone gets the chance to meet him!" Aaron Lopez also got lucky when Henry and his trainer, Mike Blevins, were back at a local gym to continue their fitness routine. aaronlopez: "Probably the coolest Monday ever! 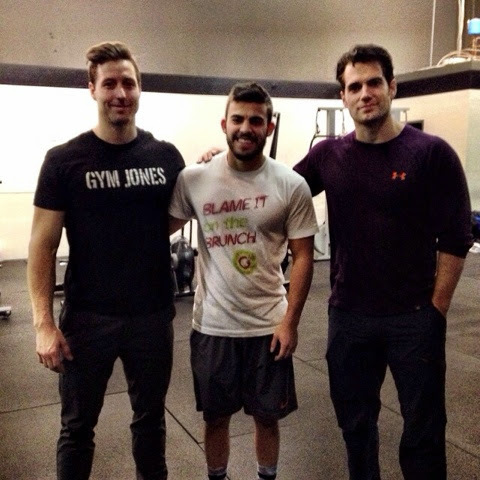 Got to work out with Henry Cavill and Michael Blevins." cinjalove: "My turn!! It's a privilege to be a part of the same gym Superman chooses to visit while he's in town (..) love my gym and love what they do #gymjones"
And fans there are really dying to meet him..
What the heck!! #HenryCavill all over #ElPaso but I, huge superman fan, haven't seen him! I demand he contact me, so we can have a beer! Of course the reason Henry has been hanging out in El Paso, is because Batman v Superman is being filmed in nearby New Mexico. And remember those awesome selfies and other pictures from a Deming restaurant last week? The El Paso Times talked to some of the employees who met Henry. They said he "was extremely nice and personable," and also "friendly and approachable." KVIA also covered Henry's stay in El Paso. WATCH THEIR REPORT, which includes interviews with some of the fans who met Henry in the last few days, and a new pic with a store worker who even got a hug! When we shared Karen Garcia's story on Instagram, she told us "He is the best! And I just said the truth about him, he was very nice with me and my coworkers!" We are so happy to hear from those who are meeting Henry (thank you for sharing), and Superman, if you have the time check out Ruidoso or Carlsbad Caverns. A completely different part of New Mexico and beautiful, beautiful, beautiful. Beautiful pic today in El Paso...Pretty in purple & pink... :D Love it. He is PERFECT in that first photo. I want to give him a hug too...Very nice. Lovely stories, video clips and pics. <3 :) Thanks for sharing!